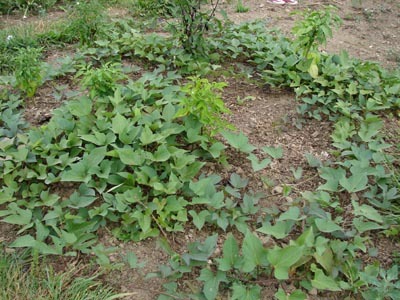 Growing Sweet Potatoes is very easy, but takes patience as they can take up to 238 days to mature. 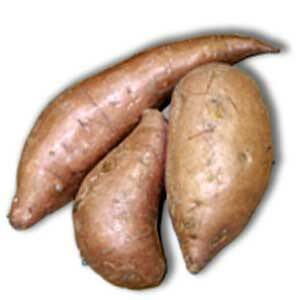 Sweet potatoes are a tender, warm-weather root vegetable. Sweet potatoes are native to Central and South America and are one of the most important staple food crops in tropical and subtropical countries where both the roots and shoots are eaten. Sweet Potatoes are related to the Morning Glory that grows vines that will quickly cover the soil, rooting at the nodes along the way. Diseases: Black Rot, Fusarium Wilt, Scurf.